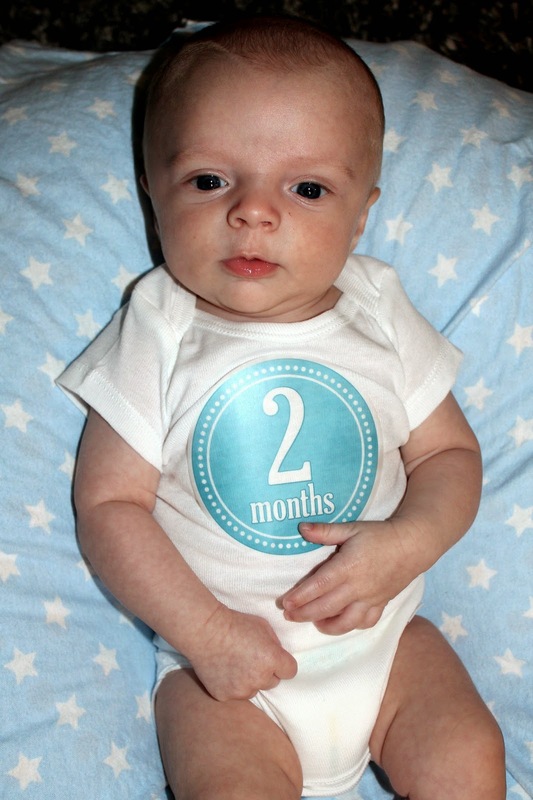 Baby Knox, you turned 2 months old on June 26th! 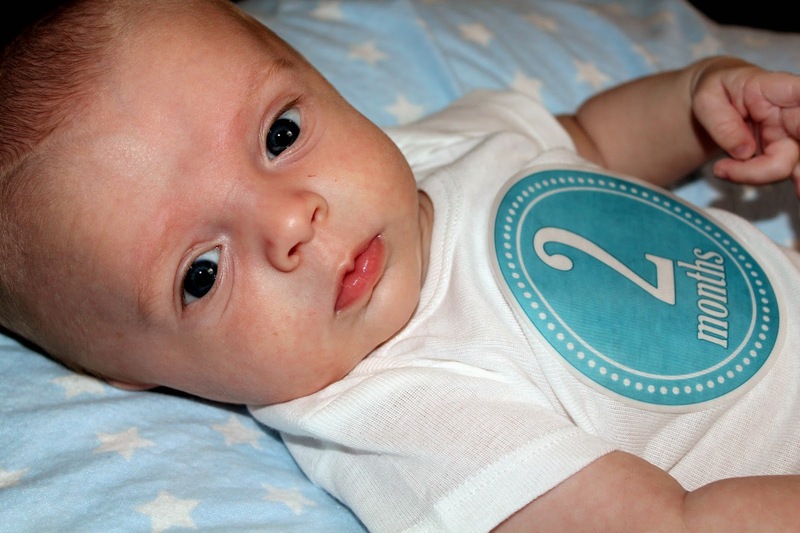 You are the sweetest addition to our family and such a good little baby! 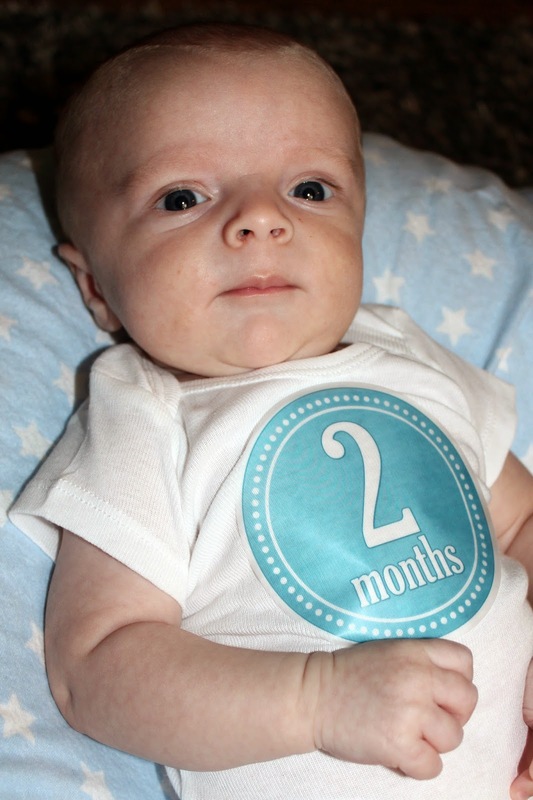 You now weigh 12 pounds and 7 ounces and measure 23 inches long! The Dr. says you are a very tall and skinny boy! I am picturing you to grow up like your big cousin Christian. 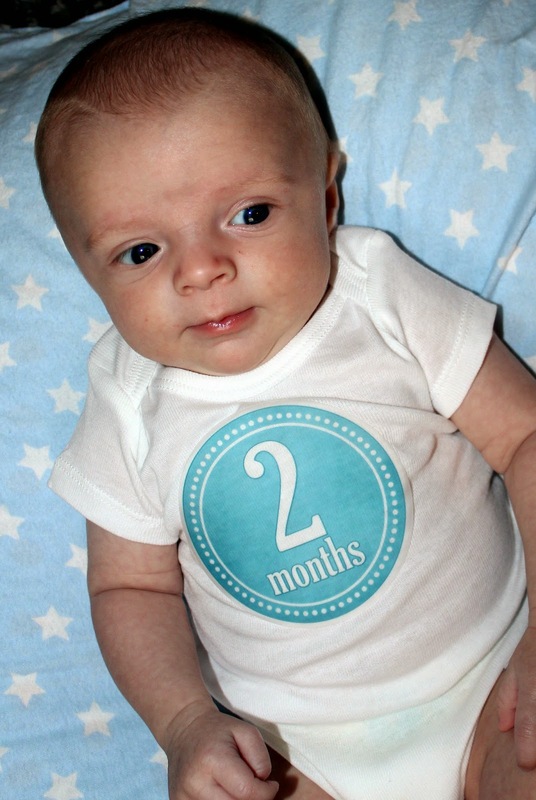 You are still wearing size one diapers and can now fit into all of your 0-3 month clothes. Mommy loves to dress you in your shorts and a cute t-shirt. You always look like such a big boy! I think we are hitting a growth spurt! Your appetite has increased and you can barely make it 3 hours to eat 5 ounces. You were eating 5 ounces every 4 hours just a few weeks ago. 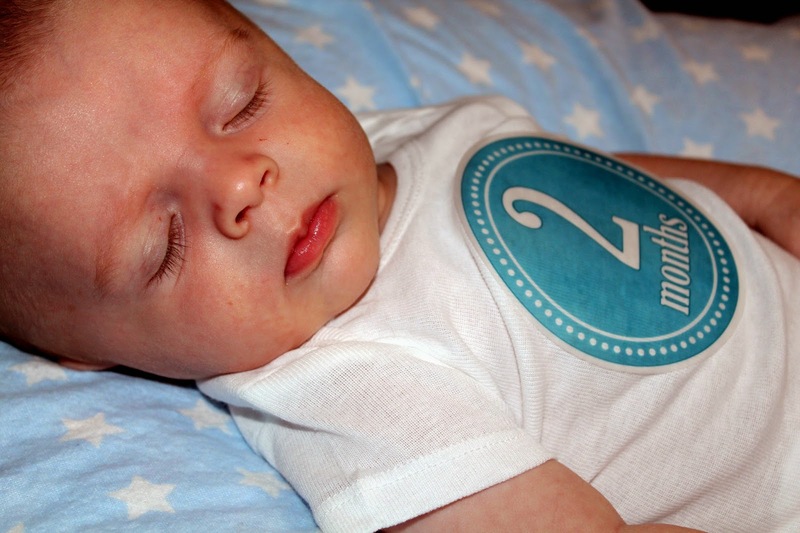 This growth spurt has you totally off schedule and Mommy is not loving that! So long to our 10-2-6 schedule! 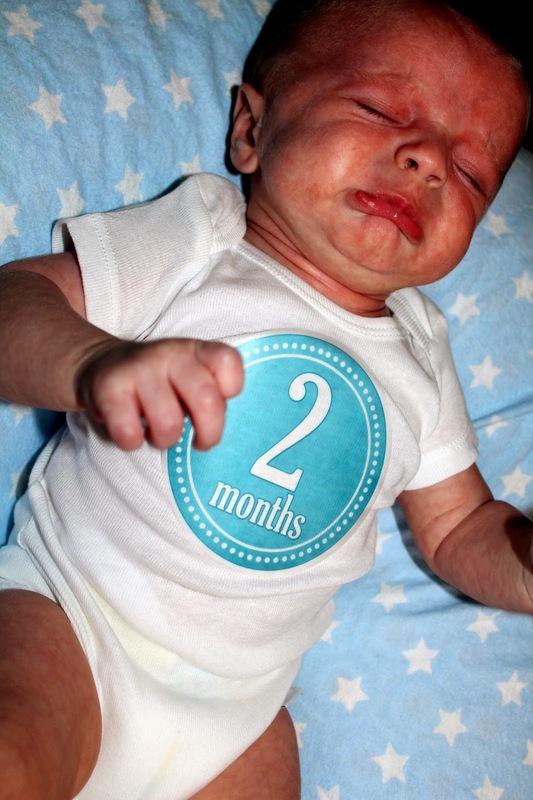 You are still sleeping through the night and Mommy moved you to your crib. You have only spent one night in there so far and did great! Lucky for Mommy, I have a monitor I can see you on any time that I want! Your bedtime routine works wonders and there is no waking you once you are out for the night. Your paci is still your best friend when it's time to go to sleep or take a nap. Coco and Ace started calling you Knoxy and that has caught on for Mommy too! You are such a smiley little baby and will coo and "talk" to us! You weren't feeling our photo shoot, so I didn't get any of those cute gummy smiles. You got to go on your first road trip and vacation. We went to Panama City Beach for a week and you did great! Mommy would take you to the beach for about an hour each day and then go back to the room. Mommy didn't get a lot of beach time but we could either be spending our week at the beach or at home by ourselves. Knox, you are the perfect baby, if you ask me. We love you so much and can't wait to see what you do next! 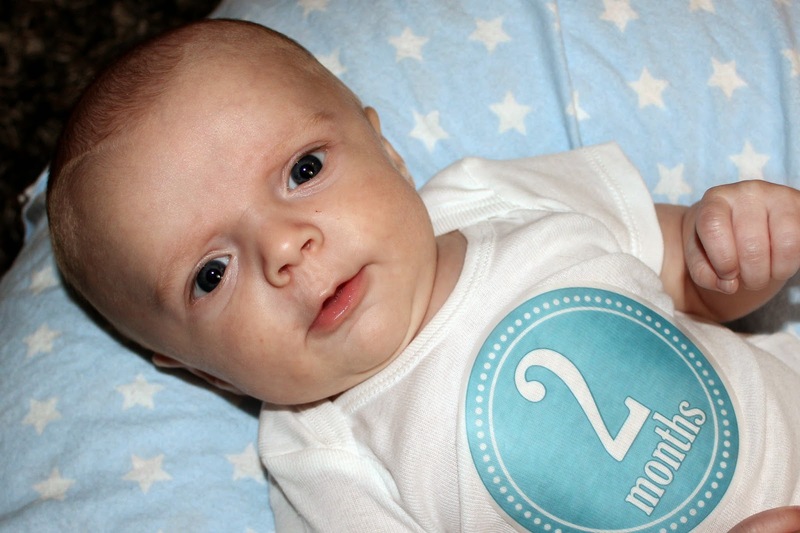 Happy 2 months, Knox Waylon! I hope Knoxy comes to our 4th of July party on Friday!! Can't wait to see how much hims has grown! !